Coca-cola Zero literally means no sugar in it, but still same taste. You will have a tough decision to make between the original red Coca-Cola or Coca-Cola Zero. Put my experience at stake about the red Coca-cola, more bubble and the taste of sugar is long lasting in the mouth. As for the Coca-Cola Zero, still magically taste the same without sugar as shown at the back of description (no image provided). The truth is not much bubble and the taste is unusual fade away in the mouth. Now you have no more reason do not drink a cup of Coca-Cola if you are concerned about sugar level in your body. This is absolute free of sugar ! Recently, there was a guy acted as a staff in one of the Golden Screen Cinema serving Coca-cola Zero but disguise it as the original red Coca-cola. In the end of the video, this guy in red shirt exposed to the audiences that the taste of Coca-cola Zero and Coca-cola Red is almost identical. Most of the audiences are surprised as they could not differentiate them. 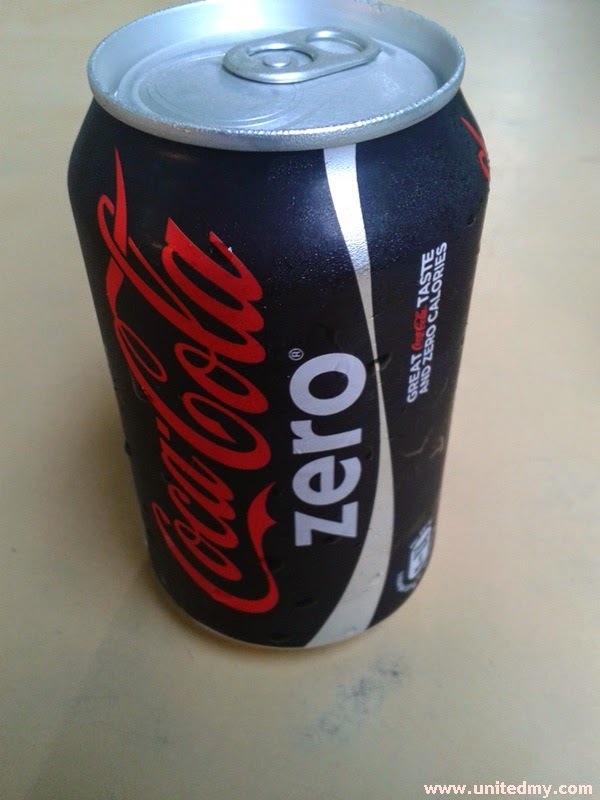 For your information, Coca-cola Zero is manufactured in Singapore.